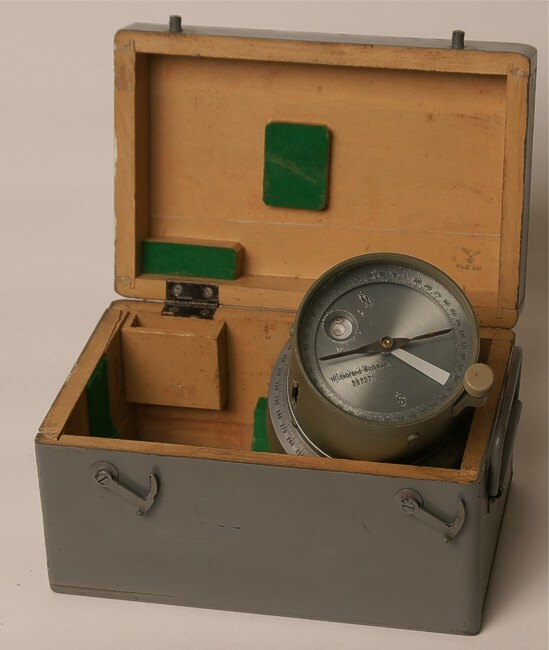 The Festungpioniere (engineers) needed an acurate compass for making the construction sites for gun casemates, radar antennas, searchlights and so on. 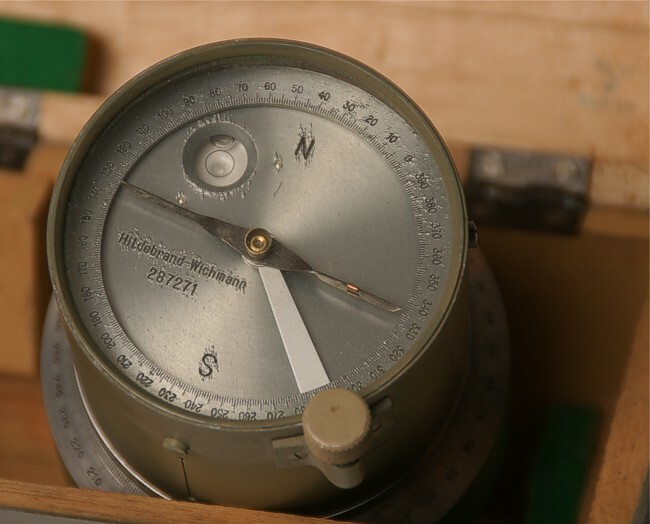 The small opening makes it possible to look through the compass housing using the tiny metal thread as guidance. The compass has the original case with the WaA-stamp. Hildebrand Wichmann is the maker.